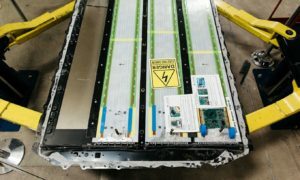 If you’re on the fence with ordering a Tesla Model X, just know that you will never see this level of detail and engineering, in any production vehicle, ever again. 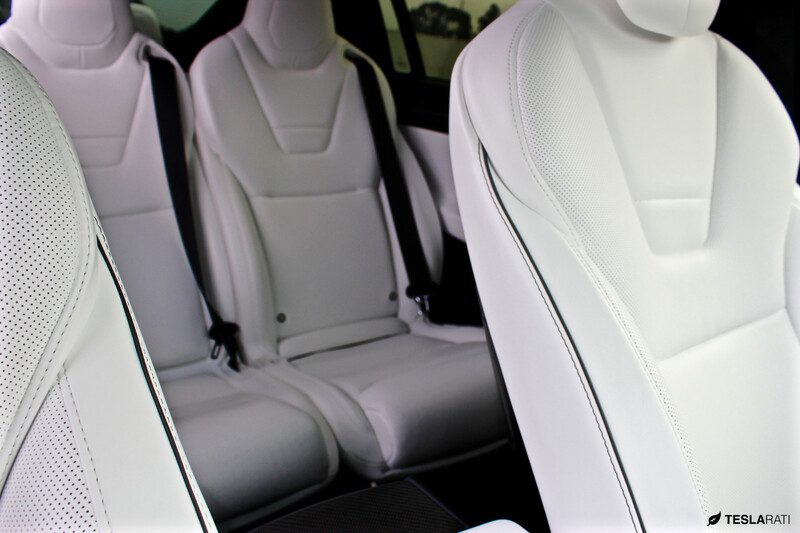 If you’re an existing Model X owner, know that you’re driving a once in a lifetime classic. Why the bold statements? 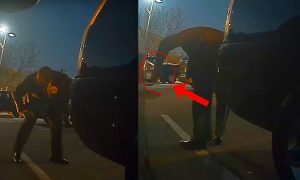 Well, for one, having had the opportunity to experience a fully loaded Ludicrous Model X P90D recently, I quickly found many unique little features, many of which go unknown, that speak to the attention of detail Tesla put into the design of the vehicle. 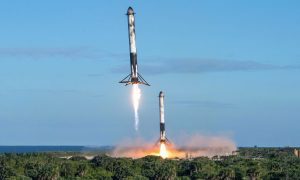 There’s a reason why Elon once said, “I’m not sure anyone’s going to make a car like this ever again. I’m not sure Tesla would make a car like this again”. 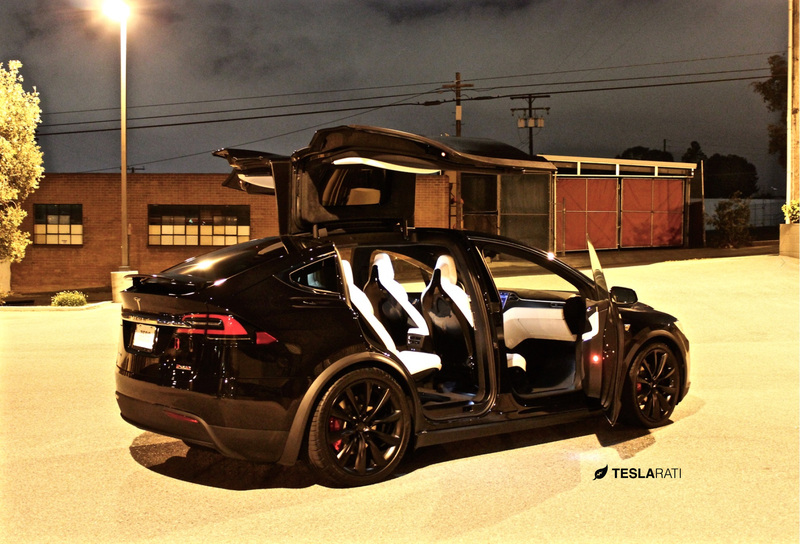 Here are my top 5 tidbits that you might not know about the Tesla Model X. 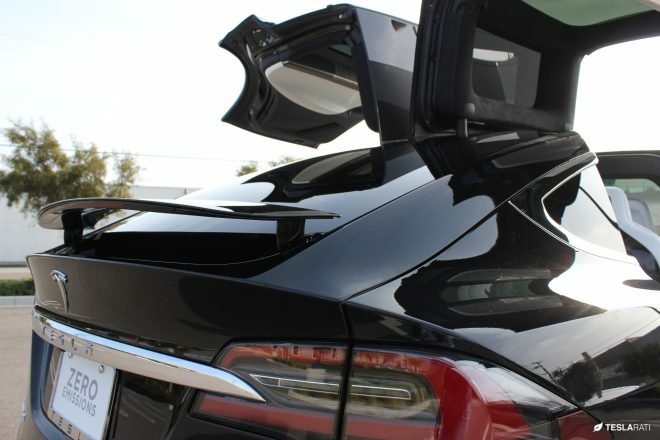 Even something as simple as a windshield washer nozzle has been redesigned on the Model X. 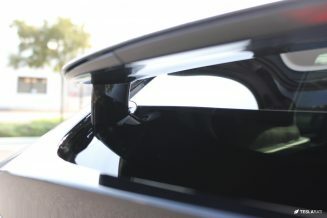 Instead of your traditional washer jets typically mounted at the base of the windshield, the Model X incorporates a series of washer jets directly into the wiper itself. The result is equal distribution of washing fluid across the path of the wiper making for a cleaner and streak free windshield. Here’s a great video on YouTube showing the effect of the wiper integrated washer nozzles. 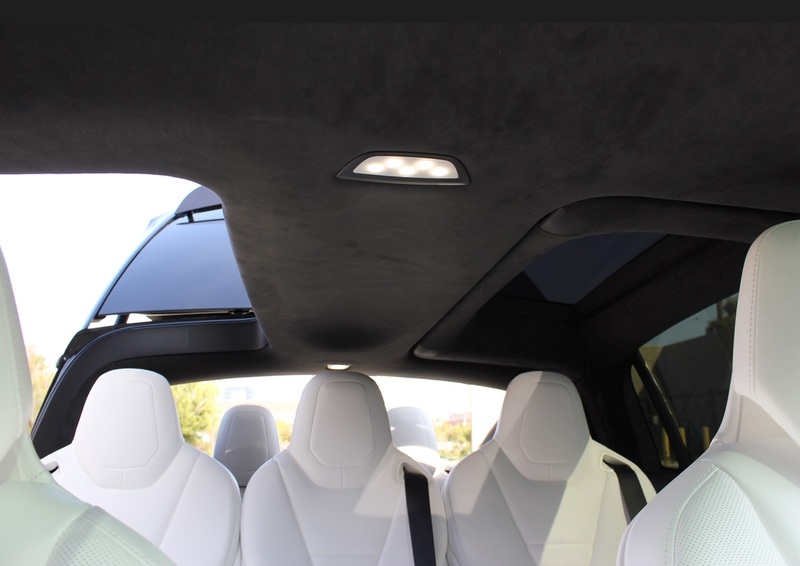 The dome lights on the Model X can be gradually turned on or off by swiping across the surface of the light assembly. Swiping across the entire surface will impact the behavior of all lights while tapping on an individual light will control that particular bulb. The Model X represents beauty in the form of art. We’re talking high fashion here. There’s not a single feature of the car that wasn’t designed with style in mind. Taking photos of the Model X comes easy since every angle of the car looks amazing. The Model X Ultra White seats are decorated with a subtle black pinstripe that conjures together sophistication and elegance. Even something as unattractive as seat belt buckles have been color-matched and thus blend effortlessly into the seats. 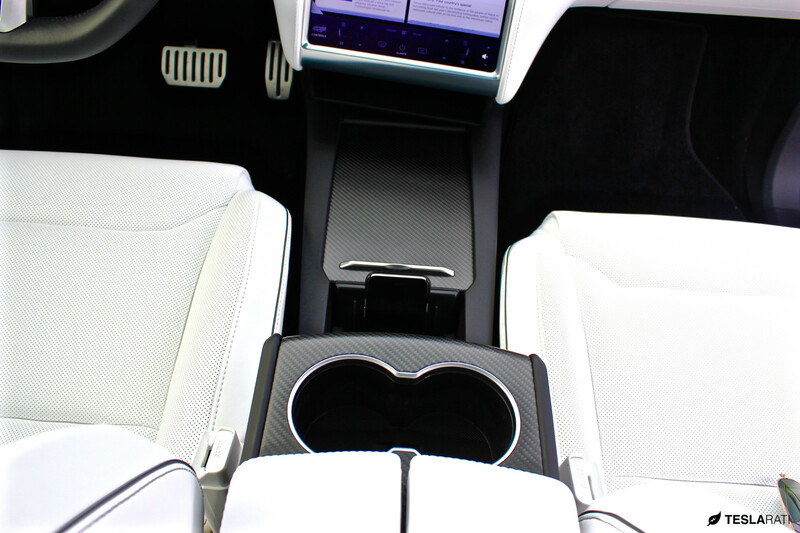 Like the Model S there are USB ports directly below the front arm rests. 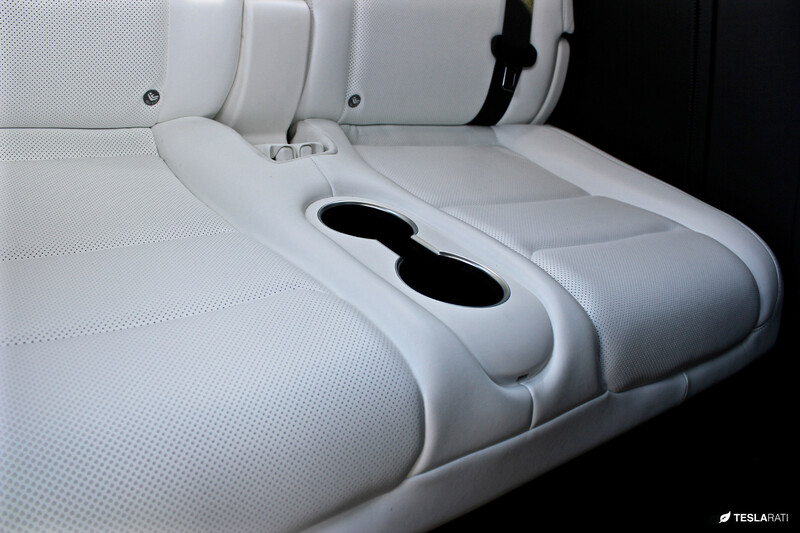 The 2nd row is also outfitted with a pair of USB ports on the back of the front center arm rest console. 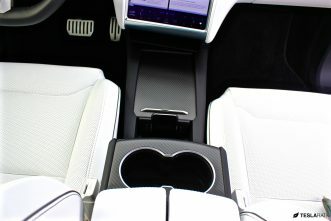 However another USB port exists in the 3rd row in front of and below the center cup holders. 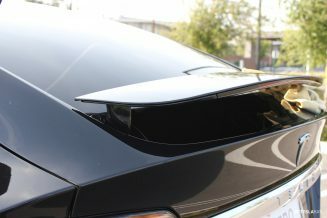 The Model X active spoiler lifts from and retracts into the rear hatch, but what many don’t realize is the rear windshield is nearly as large as the panoramic front windshield, and extends below the spoiler. 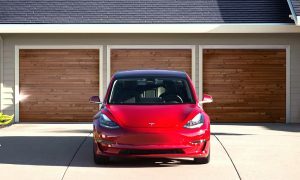 Tesla could have simply made a traditional windshield that would mount on top of a standard hatch, but to true Tesla form, they decided to create a custom contoured rear windshield that forms around the active spoiler mounts. If you look closely to the mount, not only do you see the rear windshield extending beneath the active spoiler, but it mounts flush to the base of the spoiler. This is another testament to how Tesla thought of everything when designing the Model X.
We’ve added a video from the folks at EVannex that shows the attention to detail that Tesla put into designing the vehicle.